As caregivers, one of our deepest desires is for our children to have friends. Where do we begin? To build social skills, we can expose our preschoolers to as many new and different people as possible. Preschoolers enjoy guests such as neighbors, grandparents, and other children who come to visit the house. Encourage children to have conversations with these visitors. 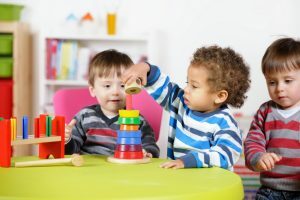 Encourage children to engage in cooperative activities with others such as playing house or putting together a puzzle—activities that promote joint cooperation. Help children put on a puppet show. 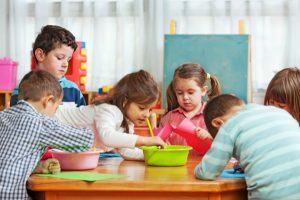 As stated earlier, it is extremely helpful if children go to preschool—even for just a few hours a day. I recommend that if possible, children go to preschool five days a week for consistency, even if they just go for two-three hours each day. A consistent routine will make life easier to manage! To further build social skills, spend time talking with preschoolers about their feelings. Give them words to describe how they feel. If a child has negative feelings like jealousy or anger, share times when you have felt that way and what you did to feel better. Always reassure children that feelings are not wrong or bad—it is the actions we take that count. Help children find outlets for negative feelings. For example, let them run in the park, jump on a miniature trampoline, or punch a punching bag. Never, ever let them hit you, a sibling, or a pet. Explain that when we are angry, it is not okay to hurt ourselves, another person, or an animal. It is okay to hit a pillow or kick a box or run around the yard. We can also help our children identify others’ feelings. Start with ourselves! “Look at Mommy’s face. I am smiling because you shared your book with your baby sister. 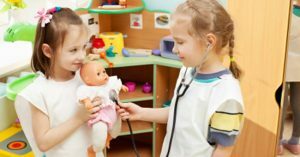 How am I feeling?” If your child can’t tell you, say “Is Mommy feeling happy or sad?” We can help our children identify feelings in actual people in the environment as well as in characters in books. “Why is Clifford the big red dog feeling sad? I think he is sad because he’s by himself and his friends went away.” Help your child learn vocabulary for a wide range of emotions. A fun twist on this is to have your child play with a stuffed animal or toy. You “break the rules” by, say, walking up to her, grabbing her toy, and saying ‘mine!” Ask her how that makes her feel. Ask her to model what you should have done instead. Most children are not truly able to share until they reach four years of age at least. 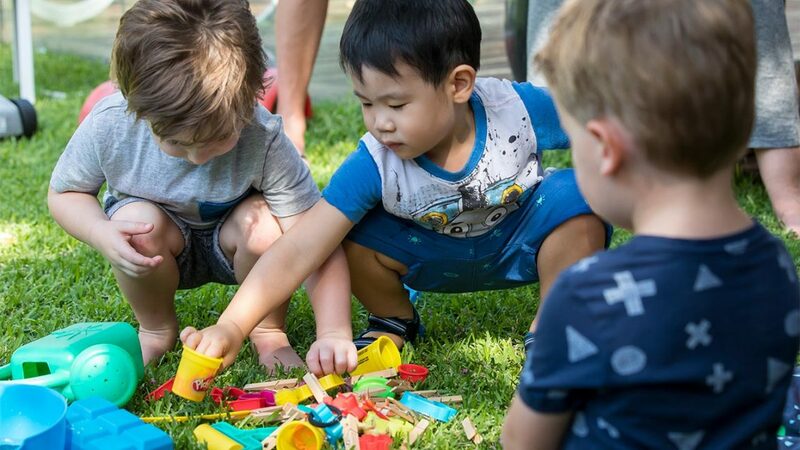 Having our children attend preschool is the best way to help them learn this important skill that is so important for having friends. We know that social skills are increasingly important in today’s workforce. 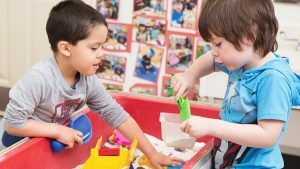 The early years are the ideal time to build these skills, as children’s brains are so open and malleable. The child who enters kindergarten with well-developed social skills truly has a major advantage that will be so important in years to come. For more information on how to increase your preschool child’s social skills, check out my book Love Talk Read to Help Your Child Succeed, available on Amazon.